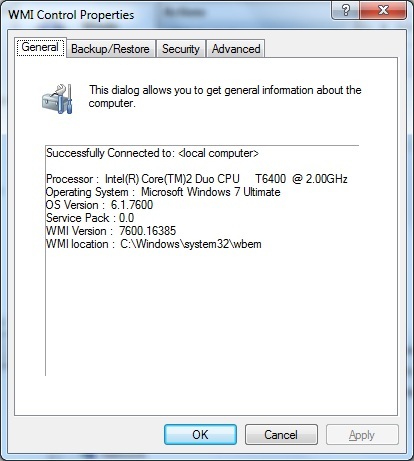 Windows Management Instrumentation (WMI) is a key part of the Windows 7 operating system. It is used to gather system statistics, monitor system health, and manage system components. 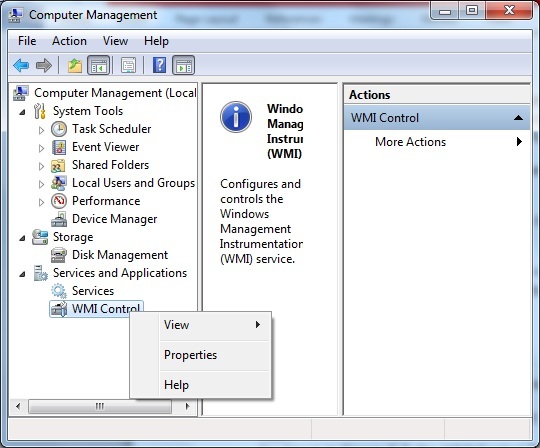 To work properly, WMI relies on the WMI service. This service must be running and properly configured for your environment. 1. Click Start, type administrative tools, and hit Enter. 2. Then click Computer Management. 3. 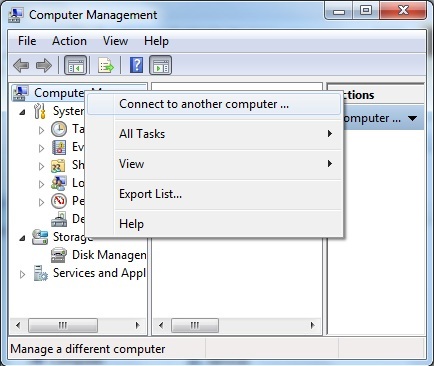 To connect to a remote computer, right-click Computer Management in the console tree and then select Connect To Another Computer. You can now choose the system that has the services you want to manage, provided you have the proper administrative privileges. 4. Expand the Services And Applications node. 5. Now select WMI Control. 6. Right-click WMI Control, and then select Properties. Here you’ll find summary information for the system and WMI. WMI uses the credentials of the current user to obtain system information. Statistics gathered by WMI are stored in a repository. By default, this repository is located in %SystemRoot%\System32\Wbem\Repository. These statistics are automatically backed up at regular intervals. This tab allows you to back up and restore the repository manually. Security settings determine who has access to different levels of WMI statistics. By default, the Administrators group has full access to WMI, and the Authenticated Users group has permissions to execute methods, enable accounts, and write gathered statistics. Advanced settings determine the default namespace for WMI. The default namespace is used in WMI scripting when a full namespace path isn’t set for a WMI object. You can change the default setting by clicking Change, selecting a new default namespace, and then clicking OK.
WMI maintains error logs that can be used for troubleshooting problems with the WMI service. These logs are stored by default in %SystemRoot%\System32\Wbem\Logs. Information gathered by WMI is stored in a collection of system files called a repository. By default, the repository files are stored under %SystemRoot%\System32\Wbem\Repository. The repository is the heart of WMI and the Help And Support services framework. Information is moved through the repository by using a staging file. If repository data or the staging file becomes corrupt, WMI might not function properly. This condition is usually temporary, but you can safeguard against it by backing up the repository file manually, as mentioned above.